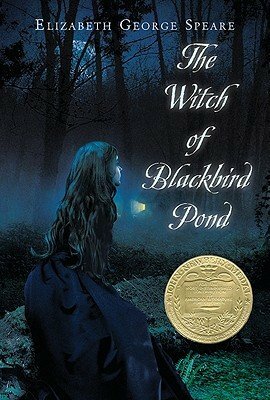 Witch Of Blackbird Pond - Student Packet by Novel Units, Inc. Forced to leave her sunny Caribbean home for the bleak Connecticut Colony, Kit Tyler is filled with trepidation. As they sail up the river to Kit's new home, the teasing and moodiness of a young sailor named Nat doesn't help. Still, her unsinkable spirit soon bobs back up. What this spirited teenager doesn't count on, however, is how her aunt and uncle's stern Puritan community will view her. In the colonies of 1687, a girl who swims, wears silk and satin gowns, and talks back to her elders is not only headstrong, she is in grave danger of being regarded as a witch. When Kit befriends an old Quaker woman known as the Witch of Blackbird Pond, it is more than the ascetics can take: soon Kit is defending her life. Who can she count on as she confronts these angry and suspicious townspeople?